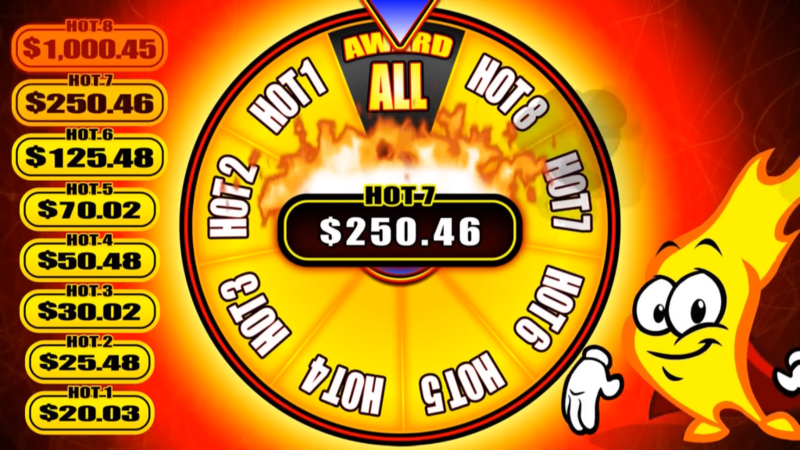 Hot Hot 8 slot comes to you from WMS, a subsidiary of SG Gaming. This slot is different from most in that it incorporates 8 of WMS’s most popular slots into one, giving you a total of 4096 win ways. Each game has its own bonus game structure, so there’s a lot going on here and a lot of possible wins. It’s definitely exciting with wins going on left, right and centre, but is it any good and can it make you some good money? WMS have chosen the Blade s32 cabinet for Hot Hot 8 slot, probably a wise choice considering a large screen is needed to display all the reels, although it’s still quite difficult to focus on everything that’s happening. You also have another large display up top for the bonuses and wheels, with an interactive touch display at the bottom. As mentioned before, there are up to 8 different slots to choose from, but you don’t have to make them all different. You could just opt to have 8 sets of reels for one single theme if you choose. The max bet is 200 credits, meaning 25 credits per array. The aim is still the same as for regular slots in that you need to obtain a winning combination of symbols to win credits or bonuses, but these symbols of course differ for each theme. The themes to choose from are as follows, with their unique bonuses stated for your reference. Jungle Wild. Two random reels can become Wild. Zeus. Win up to 100 free spins. Great Zeus. Turns random symbols into Wilds. Mystical Unicorn. Win up to 100 free spins. Raging Rhino. Wild symbols multiply pays. Far East Fortunes II. Wild symbols multiply pays. Black Knight. Expanded Wilds stick and hold. Fallen Angels. Up to 50 free spins. The slot itself also has some bonuses providing extra potential rewards. Free Spins Bonus. 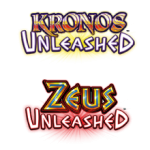 Each game has a unique set of symbols which, with 3 or more scattered, will trigger the games free spins bonus, awarding different amounts of credits depending on how many are scattered. A wheel will then spin giving you a number. You then choose whether to use your free spins on a single grid, or all the grids. If you choose a single grid, you will play the free spins on that grid equal to the number from the wheel multiplied by the number of free spins given. If you choose the multigrid, you will play with the number of grids equal to the number shown on the wheel. If a grid awards you with extra spins, those spins will only apply to that grid. Hot Hot 8 Wheel Feature. The flame symbol can appear on the last reel of any grid and will land fully on the reel, with 3 or more of these activating the feature. This is then evaluated, before being removed and revealing the symbols underneath it. The Hot Hot 8 Wheel will spin, containing 9 wedges in total, 8 associated to each grid and the 9th is Award All. When the feature is triggered, the wedges associated to the grids which contain the flame symbol are automatically upgraded to a higher reward. The reward for each wedge varies and is dependant on how many grids are active, with the highest number of credits awarded for a wedge at 12,500. Mystery Pay. A mystery prize of 250,000 credits can be awarded at the end of any base game spin. WMS have really packed a lot into this slot, using 8 of their most popular games to create a rather hectic, but very interactive new slot. I really like how each game has its own unique set of bonuses with free spins up for grabs and some big credit rewards, but don’t expect these all too often. The individual theme bonuses keep things ticking, but you do require a large bankroll to play this game and it will take some time to see any results. Overall, it’s an exciting game that can be a little tricky to focus on but can pay out big and has some great themes that most will enjoy. 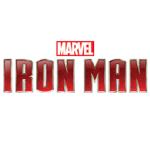 For another exciting, action-packed slot, check out Iron Man Deluxe slot.